Yes, you heard right! I have finally finished the first draft! It has felt like a long time coming for this one, after a few false starts ( HERE #1 & HERE #2) but it is finally done. And I couldn’t be happier. It has been a long hard road, and I admit, there were times when I just wanted to scrap it entirely. 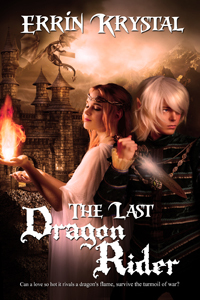 It is the follow-up to The Last Dragon Rider, and I could not leave Flint and Faë’s stories untold! I love them too damn much! I started writing this FINAL version of this in January of 2017, didn’t write for about a 5 month block because I had horrible morning sickness (which lasted all hours of the day FYI) as well as things got pretty stressful with work there for a bit, so those things slowed the process to a grinding halt for a sizable chunk of time. But, here we are, and I was so excited to type “The End” earlier today! I think I may take a week or so off, maybe outline books 3 and 4 and just have a little break from this book. Then, bring on the edits!